The link between how we breathe, how we use our whole body and our health are inextricably linked. How could it be otherwise? Oxygen is something our body needs before water and food and if we are distorting ourselves in movement, sitting and standing, the amount of oxygen we take in will be compromised. This in turn affects every cell in our body. 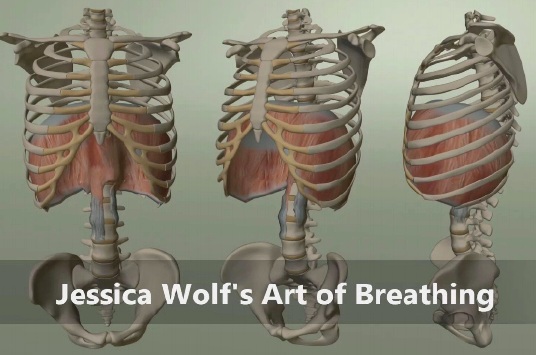 The Alexander Technique helps you give more space to your lungs and diaphragm in everyday living. Alexander was known as 'the breathing man'. This was first and foremost what people came to him for and yet maybe because there has been little study about the link between our 'use' and breathing, people tend to come more because of body aches and pains which has been better documented. If your breathing is shallow, laboured, you have asthma or your lower ribs don't move much, the Alexander could well help you. Do contact me to discuss your unique situation.